Everyone knows that making time for regular exercise in your weekly routine has several physical and mental health benefits but did you know that ladies who exercise in groups may actually get MORE health benefits than ladies who workout in the gym alone? One of the biggest current trends in the fitness industry is small group training or group exercise classes. More and more studies are beginning to show that there are some real physical and mental health advantages of this style of training. Below are 3 key health and fitness benefits group exercise has over training alone. I am sure many of you can agree that perhaps the most challenging part of our journey into fitness and healthy living is actually starting one in the first place! When you’re the only one accountable for getting yourself to the gym, it is so easy to listen to the procrastinator in your head that says: “I could skip today, tomorrow I’ll get started properly instead”. When you know you’re meeting a friend, or better yet you’ve booked yourself in for a group exercise class, you know the coach, your friends and all of the other classmates will be waiting for you. You’re much less likely to talk yourself out of going with all of that accountability! 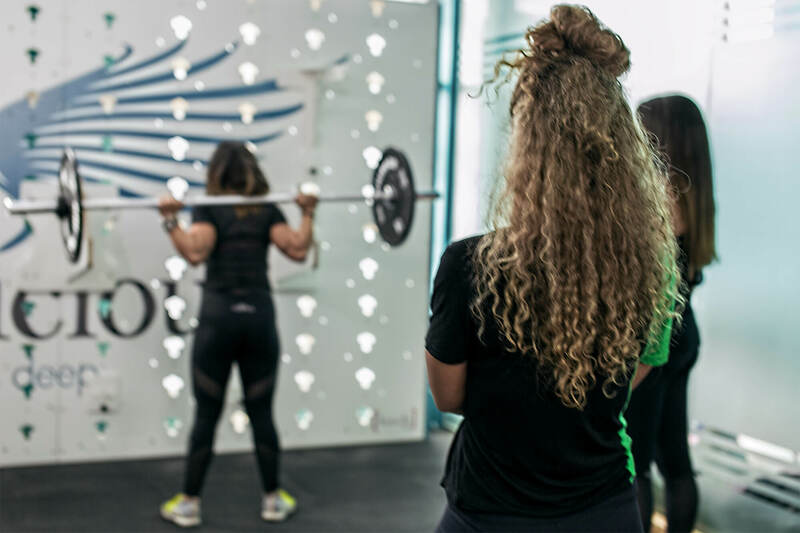 If you’re a regular class-goer, you will also be less likely to miss group sessions out of laziness because you know next time your coach will be asking where you were. Stayed home on the couch? Not me! Group exercise sessions like the small group training we do at Curvalicious Ladies Gym are already programmed for you by an experienced fitness professional. This means you wont have to waste any time deciding what to do and because there is a regular timetable in place it is much easier to plan your week around the session timings that work for you. For an EXTRA layer of accountability research shows if you are required to prepay for a group classes or a limited number of sessions you increase the likelihood of commitment twofold! Working out in a group setting is a lot more FUN that working out alone in the gym. Why is this important? If you want to turn fitness into a lifestyle, one of the fastest ways to build a habit is to make it fun. One of the biggest reasons people give up on an exercise routines is boredom. A variety of group class sessions that change on a day-to-day basis will keep you interested and motivated. On top of this you’ll have the social atmosphere, music and different coaching styles to boost your energy level so that you don’t even realize how fast the time flies by! Group exercise settings also allow for much more creativity with your workout sessions. There is a much greater variety of exercises you can do with a partner to make things interesting like partner resistance or assisted exercises. We all know that exercising releases endorphins but studies have shown that group workouts can actually lead to the release of more ‘feel-good’ chemicals in our bodies outside of physical exertion simply through smiling more! Lastly on fun, meeting new people and making friends in a group exercise setting can give you something to look forward to after your session in the gym. Reward yourself together, catch up over a coffee or a protein shake after your session. Train together, recover together – you’ve earned it! How? Training in a group exercise setting will make you work harder and for longer than you would do on your own and there are many studies out there that support this. Pushing yourself harder than normal, in combination with the extra accountability keeping your attendance regular, means so will notice changes in your body and fitness level much faster than when your left to exercise on your own terms. A study, published in the journal Nature Communications by scientists of the MIT Sloan School of Management analyzed the daily exercise patterns and social networks of more that 1 million people over 5 years. They found that exercise is socially contagious and that we are inspired by the workout patterns we see in our friends and other people within our social networks. They also found that sharing workout results with friends via an app or just telling them pushes people to work even harder! If you’re a total beginner or new to the group class, studies show that you may benefit even more that others due to a natural instinct called the Köhler Effect which is the idea that nobody wants to be the weakest link in a group setting. This subconsciously enables us to push far beyond what we are capable of when we are training in the gym by ourselves. The best part about group exercise is that it really does benefit everyone no matter what background or fitness level. Whoever is leading the group exercise class will do all of the planning for you, including a warm-up, cool down and stretching session. The coach or coaches will also be on hand to watch your form and make sure you are doing all of the exercises safely and correctly. When people train on their own in the gym, they are more likely to skip things they are not sure about and neglect to have a proper warm up or cool down. When it comes to group exercise all you really have to do is show up with a positive attitude and have some fun!